Governments fall, parliamentary speakers come and go, and as one season fades another always begins. That, at least, was what Kyrgyz Internet users thought prior to former presidential candidate Arstanbek Abdylayev’s startling announcement that “there will be no winter”. Abdylayev, who collected less than 1% of the vote in the recent presidential elections, was offering sniggering journalists a “vision from the cosmos” of a “new era beginning from the Kyrgyz, starting in 2012” when the phrase popped out of his mouth. 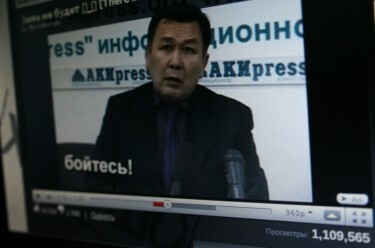 Within days, online videos of the press conference had gone viral, and Kyrgyz users of Gmail and Facebook had promptly updated their statuses to “Зима не будет “, or “there will be no winter”. A clip [of a press conference] originating in Kyrgyzstan has accrued further fame via the [satirical] Russian Internet show “This is harasho”. The show’s host Stanislav Davydov commented on the video sent to him in a comic manner. 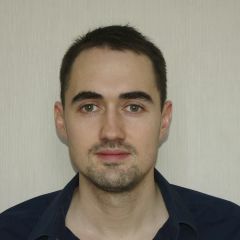 Davydov’s show has already been viewed by over a million users. Davydov, a kind of Russian Russell Brand, was vicious in his takeoff [ru, en], referring to Abdylaev as a new “Kyrgyz Hitler” due to his aide Mirlan Asakeev’s questionable claim that “life started with the Kyrgyz”. Davydov then twice repeated the clip of the “For the People” chief predicting apocalyptic floods in the West and the end of seasonal change as the world knows it , before concluding that Abdylayev is a “liar, because, as we all know, winter is close”. YouTube user Toxic959 has uploaded a surprisingly catchy hip-hop ‘remix’ of Abdylayev and Asekeev's performance here. In Bishkek, it is snowing, by the way. “Kill these two idiots [Abdylayev and Asakeev]. They are a discrace to the nation,” raged [ru] another user, Scanner. “Maybe if he had won the election, we wouldn’t have had a winter,” mused [ru] a third, unbliver. But alongside the wise cracks and the death threats, there was a growing sense of exhaustion at the lengths public figures were prepared to go to gain access to the media spotlight. And it isn't as if the surreal December 6 press conference is the first time that the erratic behavior of Kyrgyzstan's elite has caught the world's attention. Tired of continuous showdowns that threaten to disintegrate the ruling coalition, Kyrgyz MPs decided to sacrifice seven sheep in front of the parliament building. According to local traditions, offering the blood of a slaughtered sheep expels devils that a human being is not able to oust just by virtue of his or her own effort. The act was futile, as borne out by the fact that Kyrgyzstan’s ruling coalition is once again the subject of uncertainty, but it did ensure a slew of comic headlines at the nation’s expense, such as the New York Times’ “Kyrgyzstan: A Sacrifice to Save Democracy”. Another of Abdylayev and Asakeev’s boasts was that “Kyrgyzstan has the best traditions in the world.” While most foreigners in these parts attest to the hospitality of the countryside Kyrgyz, who are always on hand to thrust a bowl of kymyz in the direction of stray travellers, it is an altogether different national tradition that is currently the focus of the world media. A month campaign to fight bride kidnapping has been announced in Kyrgyzstan, where, according to the ombudsman of the republic, the number of kidnapped girls is now estimated at 15,000-16,000… the Kyrgyz authorities will organize meetings with locals to explain them that marriage by abduction is illegal, and also discuss the situation with the police. Bride kidnapping is a crime, no matter what reasons people use to justify it. But a recent article by the young journalists at Kloop shows they face an uphill struggle in making their message heard. In a distressingly ironic report, Azat Ruziev, Diana Rahmonova and Bektour Iskender detail how a student from the provincial town of Karakol, Kymbat Barkan kyzy, was stolen by unknown men while en route to a regional campaign against the practice of bride kidnapping. For those unfamiliar with what the crime entails, a December 9 video by Vice News offers an accessible if somewhat dumbed-down window into the phenomenon, while the second issue of the Bishkek-based English-language magazine the Spektator covers a disturbing kidnap for marriage with documentary-maker and journalist Anthony Butts. The women's rights organization Equality Now helped spark the campaign into life.